Robert Mix's Blog: More from Peru! Recently our Administration Director's daughter had a daughter. Below I present a picture of four generations of Peruvian women! 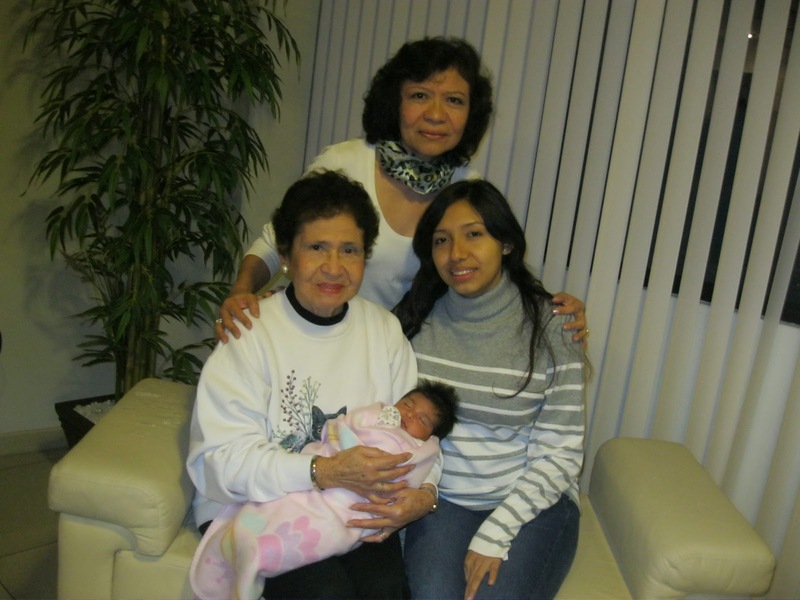 I should mention that through her son Oscar, Ana Pineda is the only great-great-grandmother I know! There's even more good news from Peru. Our largest customer is a small group of businesses all controlled by one family. They coordinate their purchases. And they buy a lot of our staple Korean bearings for the Daewoo Tico, the old Korean car I have mentioned before. I mentioned in my "Review of Barron's" article last weekend that there are companies that have a "moat" that helps protect them from some kinds of competition. Well, Ameru has a kind of a moat: Korean replacement bearings for Korean cars.